It's perhaps the case with this latest Kodak that if you don't expect too much you're bound to be pleasantly surprised – and after what feels like a run of distinctly average (though typically fairly priced and pitched) showings from the brand, we were. 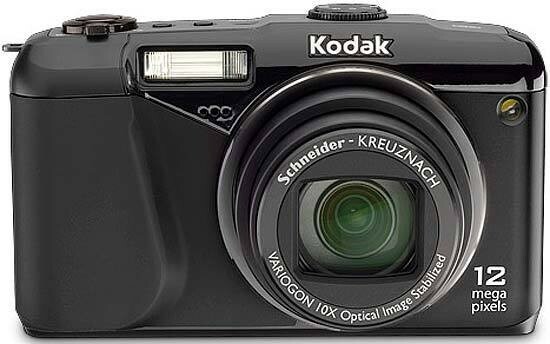 The Kodak EasyShare Z950 is that rarest of beasts, a beginner friendly digital camera with a budget price that nevertheless provides a fair amount of room to grow courtesy of a regular complement of manual controls and tweak-able settings. Given that, we can almost excuse the fact that it's image quality is variable on occasion – although better than expected results are achievable with ideal conditions at your disposal. Indeed 'better than expected' sums up our feelings about the Z950 over our test period. It's been a long time since we've come across a Kodak camera that, for the price, seems to pretty much have it all: 12 megapixel stills, 10x optical zoom range, relatively compact dimensions, sophisticated styling, ruggedly substantial build, a full complement of manual controls alongside the fully automatic, plus high definition movies that make the most of the extent of the camera's broad (for its class) focal range. Therefore we're happy to flag up the Kodak EasyShare Z950 as a best buy.